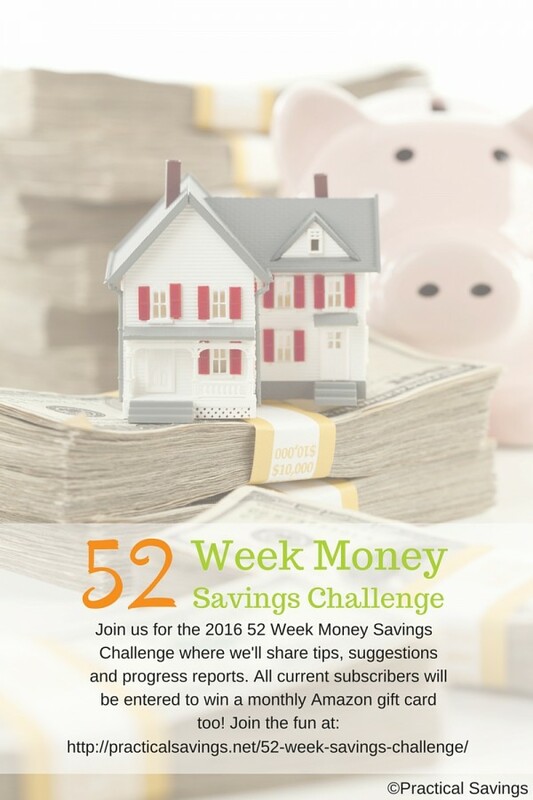 It’s week 16 in the 52 Week Money Savings Challenge! We’re more than a quarter of the way through the challenge. Yay! Last week, we chatted about using the auto payment option on bills to save some money. Not all offer that but some do. This week, we’re going to chat about how paying in advance can save a little money too. Paying bills in advance or in one large payment can be hard on the budget so a couple ideas to help with that is 1) create a savings account specifically for that bill or several of them and start depositing money into the account every time you have extra until you’ve built it up to the amount you need; or 2) if you receive income tax returns, set a specific amount aside in a designated savings account to cover those bills when the next cycle is due.